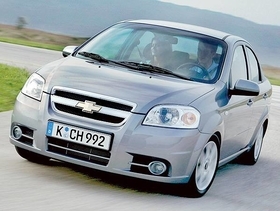 The Opel/Vauxhall Corsa (right) and Chevrolet Aveo (below) have different platforms, sources say. Their replacements will share GM's new Gamma architecture. SHANGHAI -- Supplier and General Motors sources say GM's new architecture for small cars and minicars will have a worldwide annual volume of 1.4 million units. The architecture, called Gamma inside GM, will provide mechanicals for the next Opel/Vauxhall Corsa and Chevrolet Aveo starting in 2009. The architecture also could underpin an Opel/Vauxhall minicar that would be positioned below the Corsa small car. Opel is considering introducing a Fiat Panda-sized car in about 2010. India, Mexico and Venezuela. Cars also may be assembled on the Gamma architecture in eastern Europe. Huge global architectures such as Gamma favor global suppliers that have factories in all major markets. The world cars also generate more work for small suppliers in low-cost countries such as China and India, where much of the production will take place. The architecture was developed by GM subsidiary GM Daewoo Auto and Technology in Korea, another sign that GM is eager to move some engineering-intensive work to low-cost Asia, away from Europe. Cars built by GM Daewoo are sold under the Chevrolet brand in Europe. "Gamma's purpose is to have a common platform which will integrate Daewoo and Opel models," says Ashvin Chotai, director of Asian automotive industry research at Global Insight's London office. Cars from the new architecture will replace cars made on two platforms now, one from GM Daewoo and a second developed by Opel and Fiat during their now-defunct alliance. 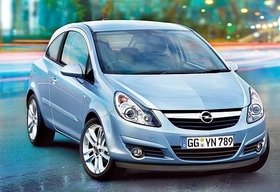 Opel uses the Opel/Fiat platform for the Corsa small-segment car. The other platform is used for the Chevrolet/Daewoo Kalos and Matiz minicars, and the Chevrolet Aveo small car. The current two platforms account for about 680,000 cars a year sold by GM in Europe and North America, about half of Gamma's planned total. Why the big increase to 1.4 million? GM is planning more sales in fast-growing markets such as China and India. A short version of the platform also will be built, suppliers say. That could be the basis for an Opel minicar that could possibly be built at the FSO plant near Warsaw, Poland. GM already has signed a memorandum of understanding for a joint venture with the FSO plant's owners, Ukrainian automaker UkrAVTO, allowing GM to build the Aveo at the plant as early as next year. Cars from the short platform probably also could be assembled in Korea, India and China.